How does one rebuild the missing part of a 16th century palace that was destroyed many decades ago? This question was raised in the brief of an open competition held in 2007, when the city of Pécs in southwest Hungary was awarded the title of the 2010 European Capital of Culture. 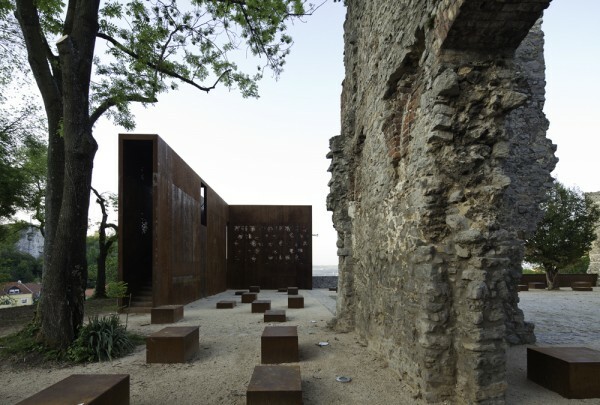 The architects of MARP, together with the landscape architecture firm s73, also based in the Hungarian capital, provided a contemporary answer to this question. 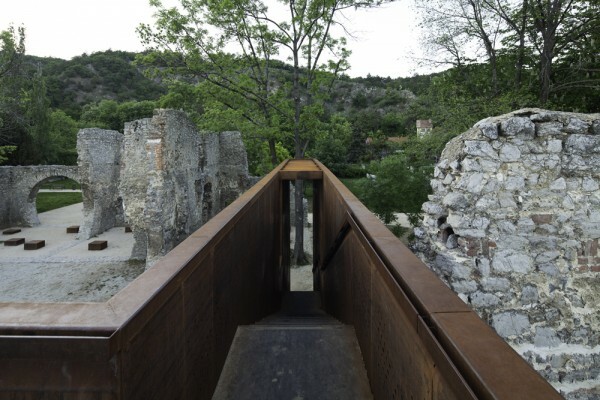 Instead of rebuilding the original stone corner, they designed an abstract L-shaped volume made of rusted steel. The complete article is published in Winter issue of Piranesi No. 33 Vol. 21.